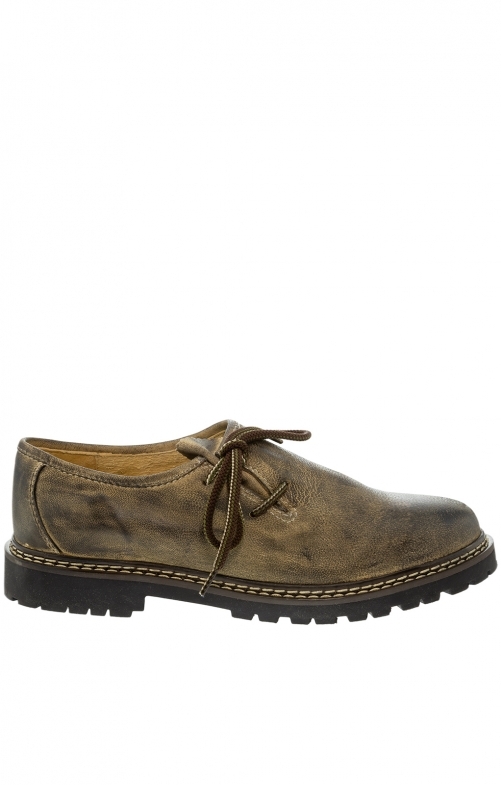 Classic Haferlschuh for tradition-conscious men. The high-class leather shoe offers a very comfortable fit. It also convinces with its robustness and strong profile. As a traditional Haferlschuh in natural brown, it suits traditional trousers and is the right footwear for the beer festival as well as for walking. Bequeme Haferl. Sehr Guter Qualitätseindruck. Haltbarkeit muss man abwarten.